We met… We were set up on a blind date by my friend who was dating Ed’s twin brother. I turned up late and drunk (Dutch courage) but it didn’t put him off as he asked for another date! 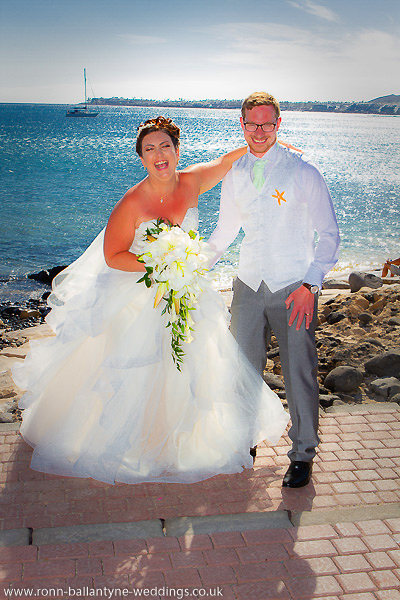 Our proposal… Ed Proposed in Lanzarote on the edge of a cliff as the sun was setting. 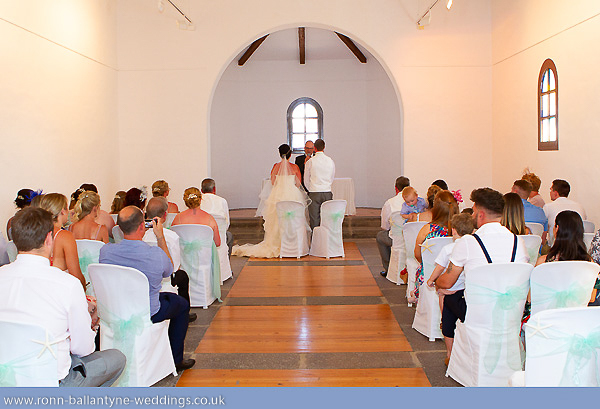 So we knew straight away we also wanted to get married there as the island was now very special to us. On the night of the engagement we watched a local sax player at a restaurant and we contacted him after to ask him if he would play at our wedding which indeed he did! 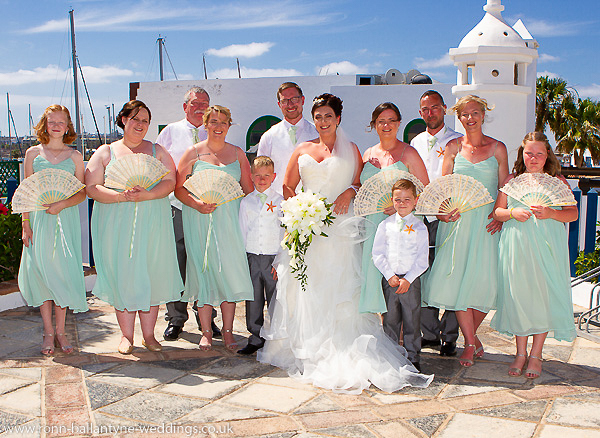 Our wedding theme/colours… The colour was mint green and the theme was starfish. It took a lot of searching but I found the most amazing starfish headdress for myself and gold starfish hair pieces for my bridesmaids from Etsy. 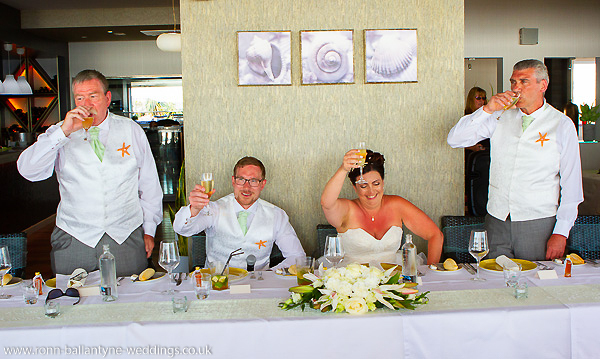 My bridesmaids also had starfish jewellery and starfish on the fans they were carrying (instead of flowers) and the groomsmen had a starfish for their buttonhole. I had starfish running throughout the theme of the day including in the cake, the decorations, and stationery. 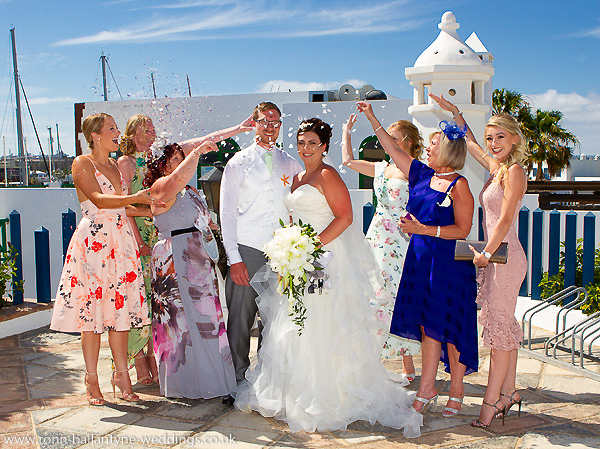 We wanted a traditional Spanish theme as I have Spanish blood in the family so we had a Spanish guitarist play outside the chapel and a bar served us all sangria so this added a lovely Spanish feel to the day. 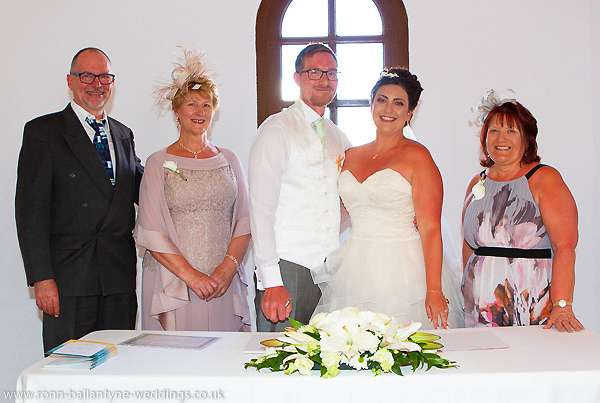 My dress… Was from Pink Confetti in Broughton Astley in Leicester. The dress was not what I thought I wanted at all. I was in the shop for 4 hours trying every single other style on and I was adamant I did not want strapless and princess style but after 4 hours they forced me into this dress and when I came out of the dressing room the song I was walking down the aisle to was playing on the radio and my mum, mother in law and bridesmaids and the ladies in the dress shop started crying so I knew it was the one. Lola was also the name of the dress. “Her name was Lola she was a showgirl” is a song my family has always said is my song! My hair and makeup… Sue recommended Tena to do my hair and she did an amazing job, she knew exactly what I wanted from describing the style. I wanted my hair up with a plait but with lots of height as I wanted to show off my starfish headpiece. My makeup artist was Joanne Gaffney, who I found on Facebook and lives on the island. I couldn’t recommend both of these ladies enough. His suit… Ed wore a grey suit with a mint green tie which was from a local suit hire shop in Quorn in Leicester. 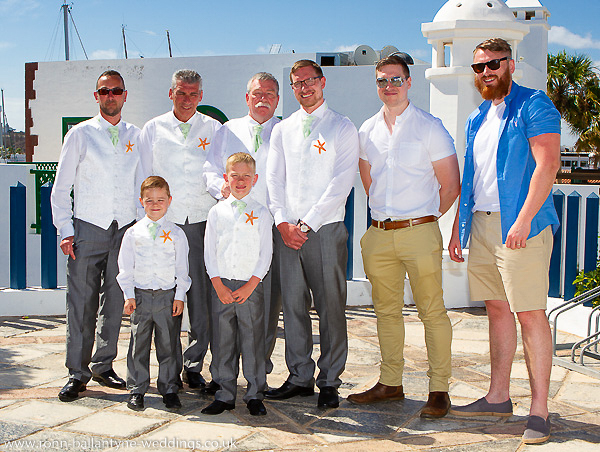 We had all the groomsmen (his dad, my dad, and brother) in the same suit. 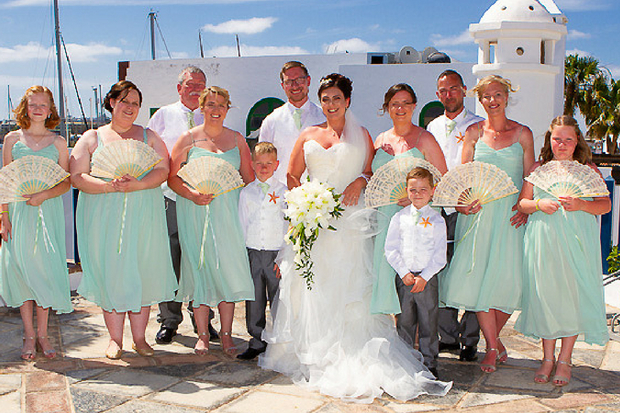 What our bridal party wore… The bridesmaids’ dresses were from Asos and my Mum altered them so they had gold beading on the straps. 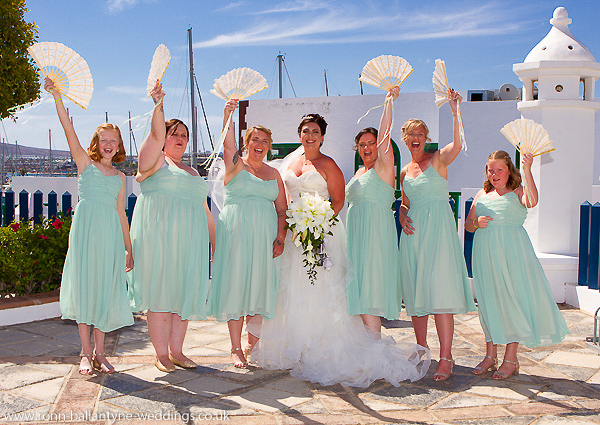 We bought lace fans and added starfish and mint green ribbon for them to carry and fan themselves in the heat. The corsages were lilies (to match my bouquet) but they had seashells and starfish on them from Etsy and the buttonholes were orange starfish with a diamonte in the middle also from Etsy. 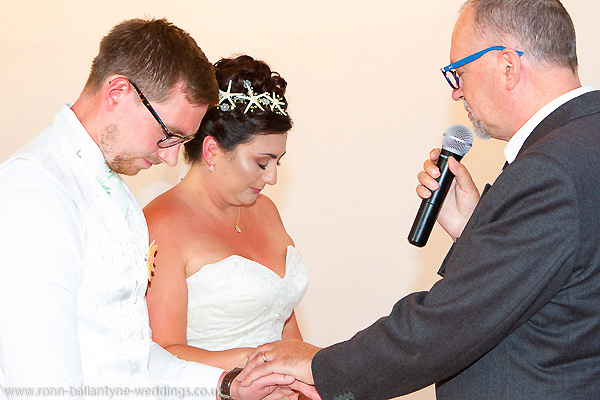 Our ceremony… In the beautiful La Ermita overlooking the marina, we had a non-religious ceremony but our celebrant said a wonderful prayer for us at the end. I had two readings, my close friend read “I walked with you once upon a dream” from sleeping beauty and my Auntie read “We have only just begun” by the carpenters. 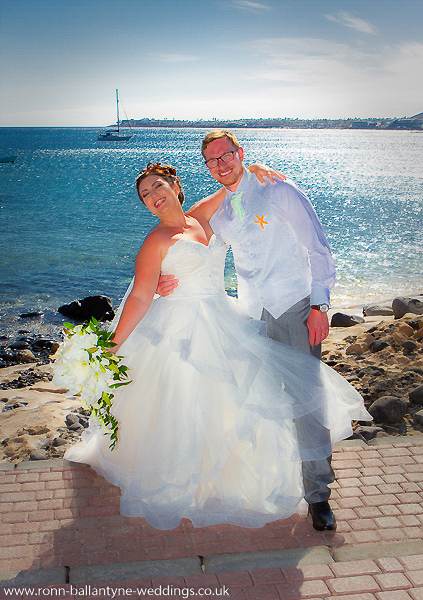 We chose our photographer because… his wedding photos just seemed to capture the fun and laughter of the wedding and that is what we wanted. 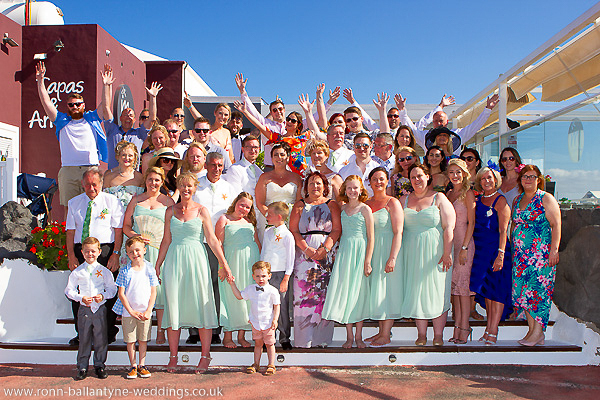 We wanted fun and relaxed shots and Ronn was amazing at capturing the essence and feel of the wedding day. 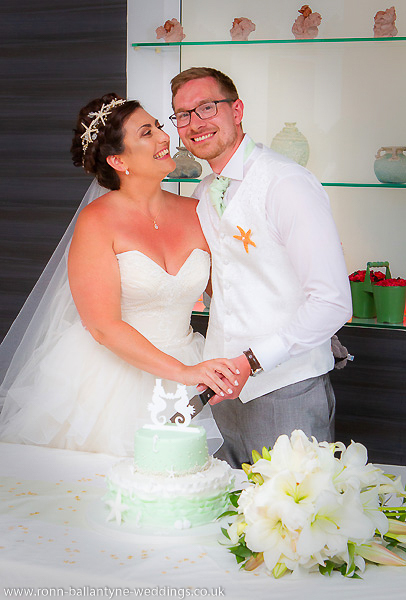 We chose our wedding coordinator, Rocks and Roses, because… Right from the off Sue understood our vision and she created the most amazing day for us. She was so easy to talk to and patient with me and we received so much support and advice from her over the 2 years of planning. 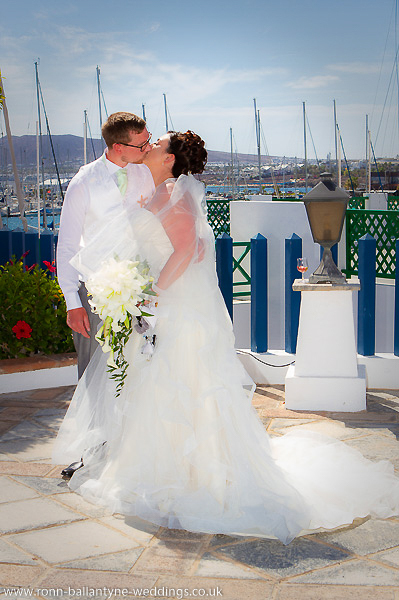 They made the wedding day seamless and feel like a dream. 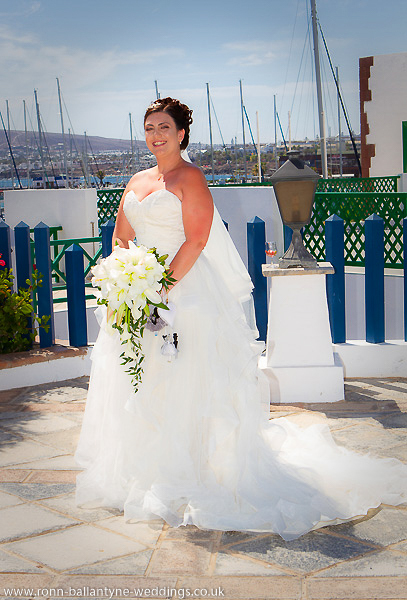 We chose our venue because… We had eaten there on a previous holiday and the food was fabulous and the view was spectacular so we know it would take guests breath away upon entering. 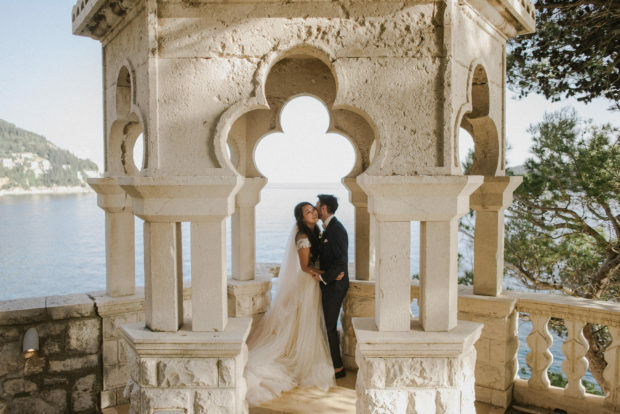 I actually googled chapels in the location when we got engaged as I wanted to have a traditional Spanish feel to our wedding and luck would have it that there was a chapel in the marina which Sue organised for us. Our menu… I asked for Mojitos as the welcome drinks to go with the green theme and the venue also provided a wonderful buffet on arrival with mini ox burgers, cheese and tomato focaccia bread, Canarian potatoes, and fish croquettes. We wanted Canarian food and we are big lovers of seafood so we were incredibly happy with the menu El Mirador provided for us. 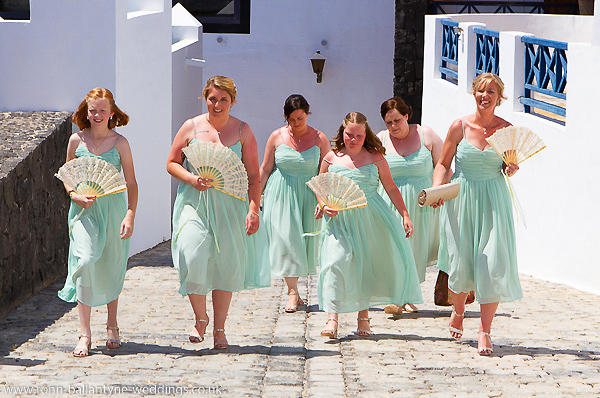 Our honeymoon… We are returning to Lanzarote for a mini-moon in September as it was difficult to get any alone time during the two weeks of our wedding as there was so many of us there but I would not have changed that for the world. 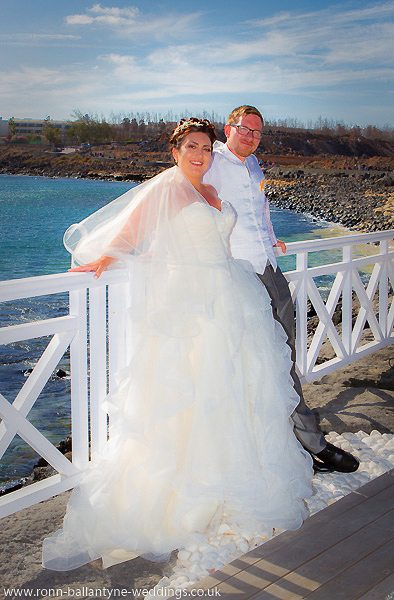 Our official honeymoon is in Mauritius but not until next February and then we have also planned to return to Lanzarote for our first wedding anniversary and a lot of friends and family who were with us for the wedding have already started booking to come to! 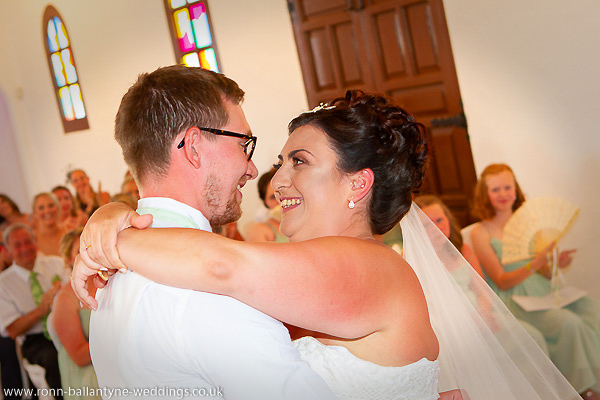 My favourite part of the wedding day… It is really hard to pick one moment as the day was everything we had ever dreamed of and it could not have gone better. 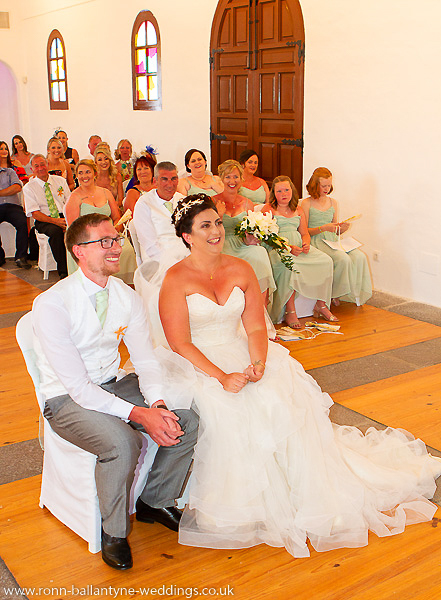 But our favourite moment as a couple was when I entered the chapel and walked down the aisle towards Ed and when he saw me for the first time walking towards him. It was a magical moment. 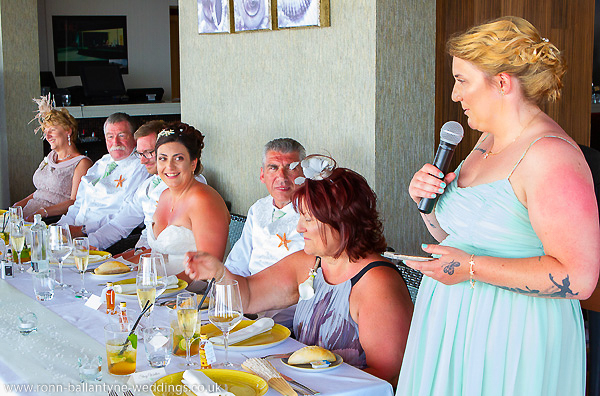 The speeches were also very memorable as everyone got very emotional and choked up which we did not expect so that was a very lovely moment. My personal favourite was tearing up the dancefloor with all my family and close friends. We partied until 1:30 am when we left to stay on a yacht we had hired at the marina. 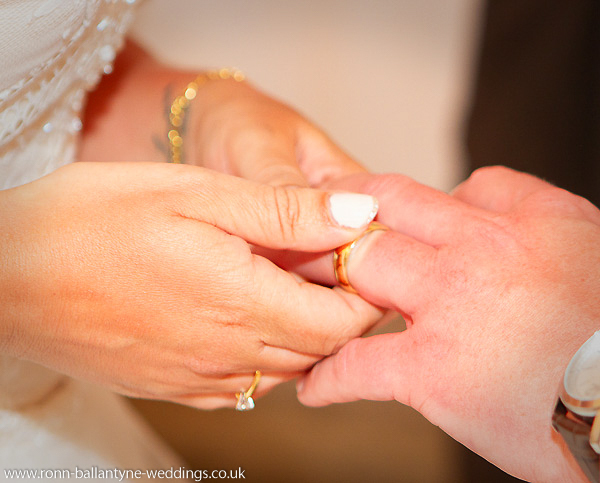 My piece of advice for other couples… The day goes so fast and you are trying to talk to everyone and spend time with your guests but try and make time for each other. 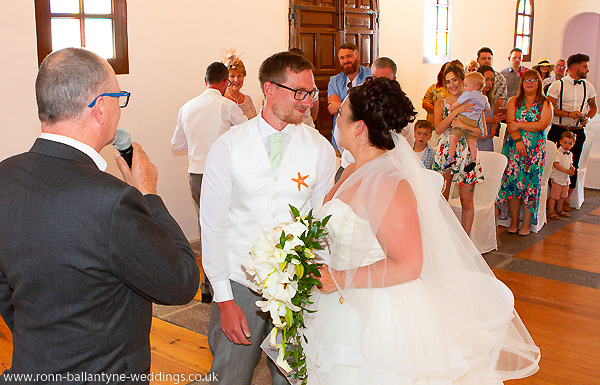 A few people were not keen on us having our wedding abroad at first but on the day said it was the best wedding they had been to and that they were wrong to have thought that so stick to your guns and have the day exactly as you want it.